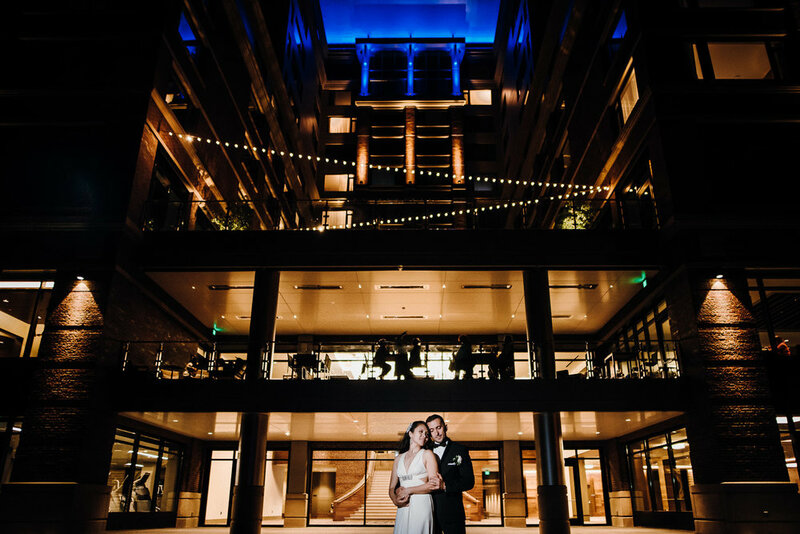 After choosing your professional photographer, you can relax in the knowledge that you will have high-quality pictures from which you can remember the best day of your life. Of course, some of these pictures will be taken up by the portrait session. Here, you and your partner will have some time alone with the photographer to capture some unique and intimate shots. When? - Although some choose to have this session before the ceremony, it is also perfectly normal to have it after the ceremony too. Ultimately, it depends on the schedule of your day but many like to do it beforehand whilst hair, makeup, and everything else is still fresh and looking perfect. On the other hand, late afternoon is chosen by others especially in the summer to prevent having to take photos in the heat. Although most photographers will choose the shade, this isn't always available and blaring sunshine will not yield the best results possible. If your schedule is fairly relaxed, you should try and fit the photos in just before sunset as this will look truly magical. Length - Over the years, there have been many stories of how the photographer took the couple to a different location and they were missing for hours on end. For the attendees, this is far too long to wait so most photographers will take you away from proceedings for around an hour depending on where the photos are being shot. Where? - As mentioned previously, some professionals like to travel to a couple of spots regardless of where the wedding takes place but most will be happy finding a good location close to the wedding. If you have a location in mind, this can normally be discussed beforehand. If you did want to travel to a completely different location some ways away, this is possible and would be best suited to much later in the day. If the formalities are over and your guests are having a good time at the bar, they will be much happier to wait for your return. Ultimately, it is your wedding day so let's do what fits you best. Who? - Although you and your partner will obviously be the focus, there will also be shots taken of the bridal party and everyone as a group. After these initial shots, you can decide who stays whilst the others make their way to the reception. If the reception is nearby, this will be the best case scenario because it means that you can spend a little while away from the spotlight and you won’t have everyone watching your photos being taken. How? - Even though couples have a million things to worry about on their wedding day, they still find time to worry about standing in front of the camera but don’t fear I will guide you every step of the way. Often, the joy of the occasion means that couples are naturally happy and form into natural poses. When this happens, little direction is required and the couple can just do what comes naturally. As soon as you forget the camera, the rest will flow naturally and the two of you will shine. After the serious shots, you might play some word games to get a little goofy and maybe even a little awkward. During this time, I am almost always looking for laughs and certain glances that show off the natural emotion and natural interaction between you two. Summary - Although many people do get nervous, there is no real need because the majority of couples end up loving their portrait session as it allows for an hour or so out of the spotlight. All day, the pressure will be on and all eyes will be focused on you and your partner so you will find that the breather allows you to relax and truly enjoy the day together. In essence, the portrait session is very much the eye of the storm and the idea is to just slow things down and take a minute to really enjoy the day. During the madness of preparing and everything else, couples often forget to make the most of the day itself but the portrait session allows this to happen. During this time, couples often savor their first few minutes as a married couple and the emotion starts to show. From that moment, you will have these memories to last a lifetime and photos to cherish forever more.